Last weeks were not that easy for Hollande. Tabloid “Closer” released a special issue announcing the relationship between the President and actress Julie Gayet. 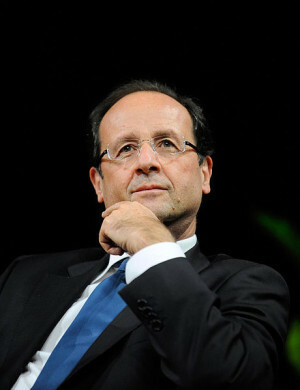 If I told you that Hollande is not favored in France, it would be just the tip of the iceberg. This president is the most unpopular president in the history of France. Only 26% of citizens trust him. He is criticized for non-logical tax reforms, inability to stop the growing numbers of unemployed people, and the lack of clear position towards the most sensitive issues in politics. However, French separate politics from private life. The only party that continues to escalate the issue is radical nationalist party “Front National”. All others practically do not care. Private life should be equally private to all. The staff of “Closer” received its share of criticism regarding that special topic. If you followed the story on the Internet or international press, you might have thought that the publicity of Hollande’s relationship with another woman was the biggest catastrophe in the history of modern France. You may think so if you look at this from your perspective. The French, however, have a perspective of their own. Unlike the French press, International press is still trying to find some juicy details about this relationship: where did they meet, where did they use to go, and what champagne did they drink. Instead of engaging into this nonsense, French discuss the value of privacy and President’s life. When someone at the press conference asked Hollande about the affair, he replied that it was his private matter and no one asked anything about it again. No “really?”, “are you sure?” or “so, what’s gonna happen next?”. Imagine how would it go in our country and our press. The private life is a right and it should be valued equally everywhere. American professor who was talking on the show FRANCE24 said he was surprised about such a concept of privacy. He said he did not believe privacy existed in this age. I was also surprised until I realized it should be natural.